We hope you are enjoying this relaxing time with your family and friends. We are so thankful for you and would like to show our thanks by extending one family’s membership for one year. If you are not currently a member of Applecore you can become one and receive a 50% discount through our affiliate, Great Peace Academy. All you have to do is enter discount code gpa at checkout. 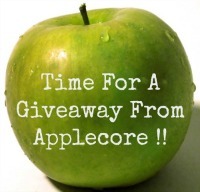 We would love your feedback and if you are interested in becoming an affiliate or utilizing Applecore for your group or organization please let us know via email at jennifer@applecoresystem.com .